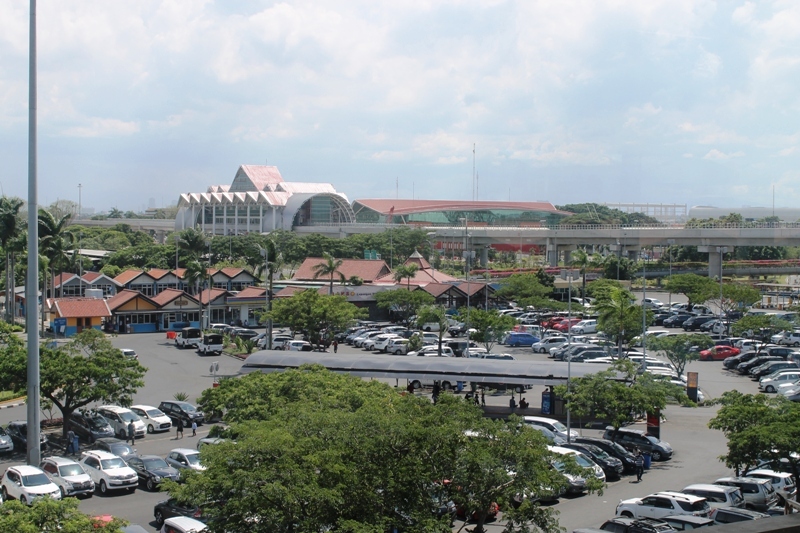 Soekarno Hatta International Airport is geographically located in Cengkareng, Tangerang District, Banten. If you fly from other countries to Jakarta, you will land at either Terminal, 1, 2 or 3 of Soekarno Hatta International Airport (SHIA) . It depends on your airline. 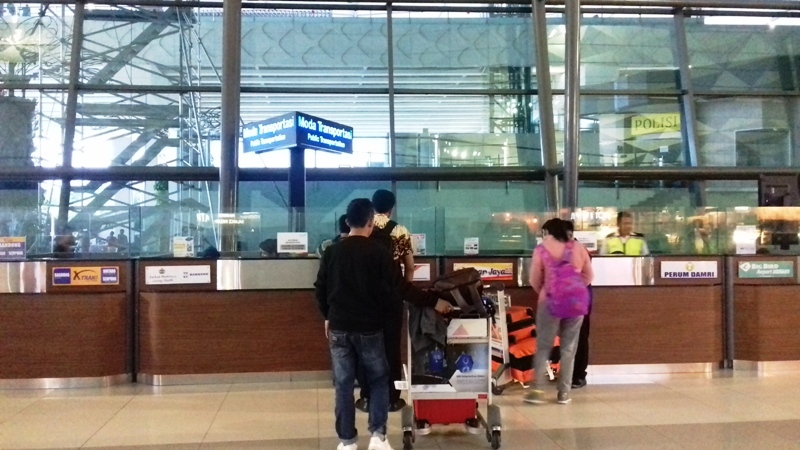 If you fly with Garuda Indonesia, you will land at Terminal 3. But if you take other airlines, you could land at Terminal 2 or 1. To get out of the airport to the Jakarta city, you have some options by taxi, by Damri bus and airport rail link. You can get the premium taxi at the airport. They have counters that are located after the exit of the baggage claim area. If you take this premium taxi, you don’t need to queue. But the fare is double of regular taxi fare. In Terminal 3 there is a machine to get the ticket to queue the taxi. The machine shows two options: Blue Bird taxi and non-Blue Bird taxi. People usually prefer to pick Blue Bird taxi. If you pick it up, you will wait for the taxi longer. The non-Blue Bird taxi means taxis other than Blue Bird. It has shorter waiting time. What is the difference between Blue Bird and non-Blue Bird taxis? In my experience, the Blue Bird taxis usually have good armada, new cars, while the other taxis, well, they are not bad. People who take Blue Bird taxis usually have vouchers from their offices. Thus, the waiting time is longer. I myself will see the situation. If it takes a long time to get Blue Bird taxi, I will pick up non Blue Bird taxis. Their fares are not different as these taxis use meter. You can file complaint to the taxi company if you get any issues during your trip. When queuing for the taxis, people can sit on the chairs, but many prefer to stand by near the taxi. As a result it looks very crowded. If you take the taxi, you need to pay the toll fees. Currently all toll payment is using electronic money. The taxi driver will ask if you have e-money card. Since you are a foreigner, the driver will not ask it. You can give him cash and he will use his e-money card. So, exchange your money when you arrive at their airport for your transportation. The taxi fare depends on the traffic and distance as well. From the airport to downtown Jakarta it should not be more than Rp 200,000 (around $15) in total. You give cash to the driver. You also need to pay airport surcharge that is between Rp 10,000-20,000 depending on the distance. 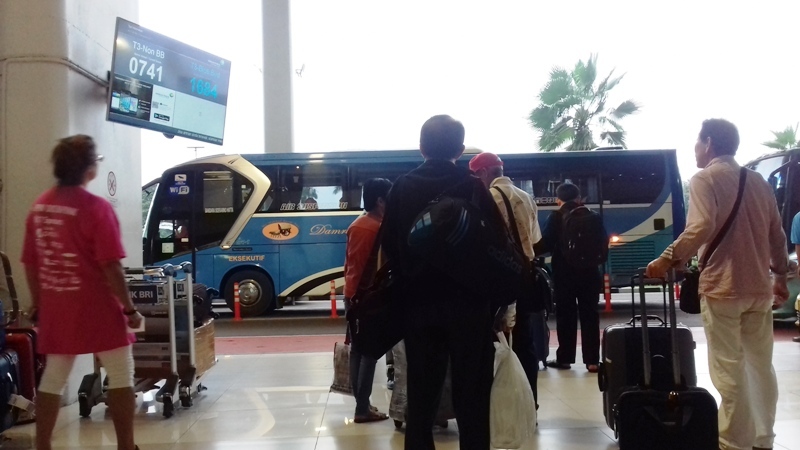 The Damri bus is the cheapest way to go to and from the Soekarno Hatta International Airport. The most central stop is Gambir. The fare to Gambir station is Rp 40,000. From Gambir you can continue your trip by train to other cities in Java Island, or you can go to your hostel. You can also travel to Bogor or Bekasi, neighboring cities of Jakarta by Damri bus. See the list of the bus stops of Damri. 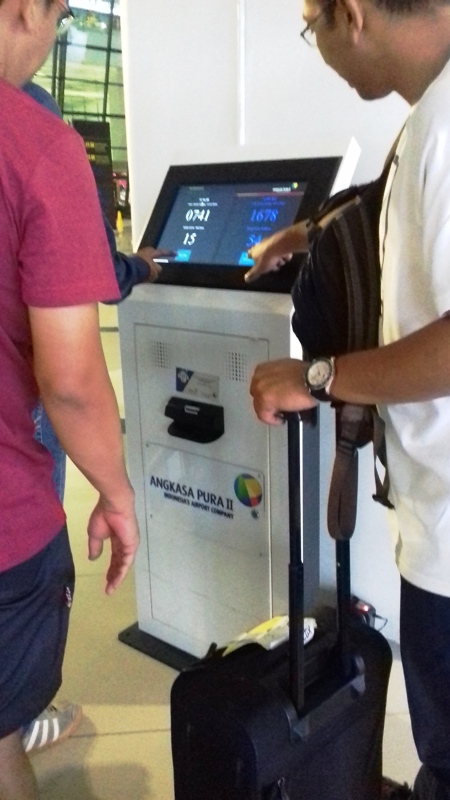 You can pay the ticket to the bus attendant or buy the ticket at Damri bus counter. 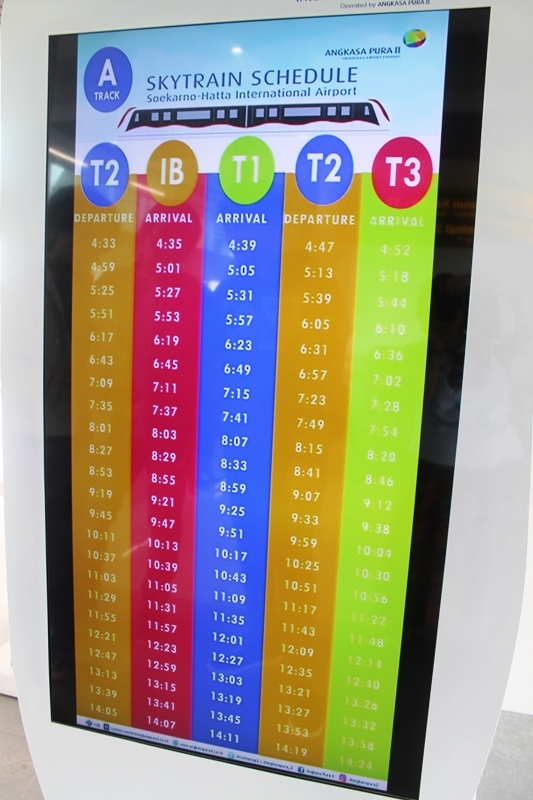 If you travel from Gambir to the airport by Damri bus, you need to consider the time because the bus will go to Terminal 3 first, then Terminal 2 and then Terminal 1. The Airport Rail Link was launched on January 2, 2018. The rail link train connects Soekarno Hatta International Airport and Jakarta city. At Soekarno-Hatta International Airport the first rail link train departs at 6.10 am and the last one departs at 11.10. The ticket fare is Rp 70,000 for single trip. You can buy it in the vending machine using credit card or debit card. The airport rail link terminal is at Terminal 1. If you are in Terminal 2 or 3, you need to take the Skytrain and get off at Terminal 1 to get into rail link terminal. The sky train runs at 30 minutes interval. If you want to travel to the airport by rail link train. Currently, it departs from Sudirman Baru Station or BNI City. The earliest rail link departs at 3.51 am and the last one departs at 9.51 pm. The starting point for the rail link will be Manggarai Station, which is under construction. The 34-kilometer journey takes about one hour. Sudirman Baru Station or BNI City is a new station that only caters for the passengers of airport rail link.